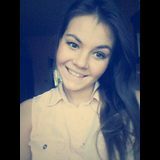 I'm Monika and I have 23 years and I' m from Poland. I would describe myself as someone who is honest, caring, hardworking, and ambitious.I think others would say I’m very reliable, which I like. I do like to take care of problems and help others. I have a great sense of humour. I am an easy going person I don’t get easily disturbed by down’s in my life. At work, I’m the person that gets along with everyone. And I feel good knowing other people are comfortable around me. And also I enjoy traveling and horse ridding. I have been working in restaurant as head waiter since 2016. I think i should try something new , this job can be new experience for me.